Once we get our sign ups – we divide our riders into groups for their abilities and ages. Please request a camp flier for information about each week, I’ll be glad to mail you a copy or you can pick one up on the office desk. Camps have the ability to change shape and form depending on the participants desires. If you have a number of riders who wish to spend the week together, let us know and we can tailor that week to your desires. Camp Cost: $275.00 per rider per week $50.00 – non-refundable due to reserve spot. Camper Needs: All campers need to wear long pants, hard shoes or boots, and a riding helmet. Also bring a water bottle, and dress in light colored clothing. Our lounge is air conditioned but the riding areas are not. Cranberry Acres will provide a snack at break time. The Cranberry Acres Equestrian Center takes a great pride in offering classes in horsemanship for riders 6 and over. Lessons are offered for both hunt seat and western riders. Instructors are ARICP certified. Cranberry Acres is located on Route 38 in Amelia VA. 12500 Five Forks Rd. The facility offers an indoor riding arena, a lighted outdoor ring 100X200, a round pen, two dressage rings, a hunt field, a cross country field and 30+ acres of trails. The stable hosts 21 stalls, 2 wash stalls, and a heated/air conditioned lounge for our guests. Our program at Cranberry Acres is dedicated to provide a safety oriented lesson for working with and around our horses. Students are divided by age and ability. New Horseman: Are guided through basics in safety around horses, grooming, hoof care, saddle fit and saddling, bridle fit and bridling. Then mounted riding classes of an hour time teach riders from the walk on up to the riders comfort level. Returning Horseman: Work to improve their skill both on the ground as well as mounted. Our goal is to teach each rider as if they were going to own a horse. 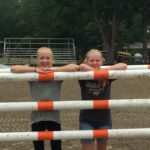 Lessons on lunging, round pen work with different types of horses, feeding, leading, tying, grooming, clipping, bathing, braiding, and show turn out. We teach the parts of the horse, parts of the saddle and bridle, Also the care of the saddle and bridle. We instruct how to load a horse safely into the trailer and how to wrap for the trailering. We also teach about wound care and yearly vaccinations, worming and teeth care. 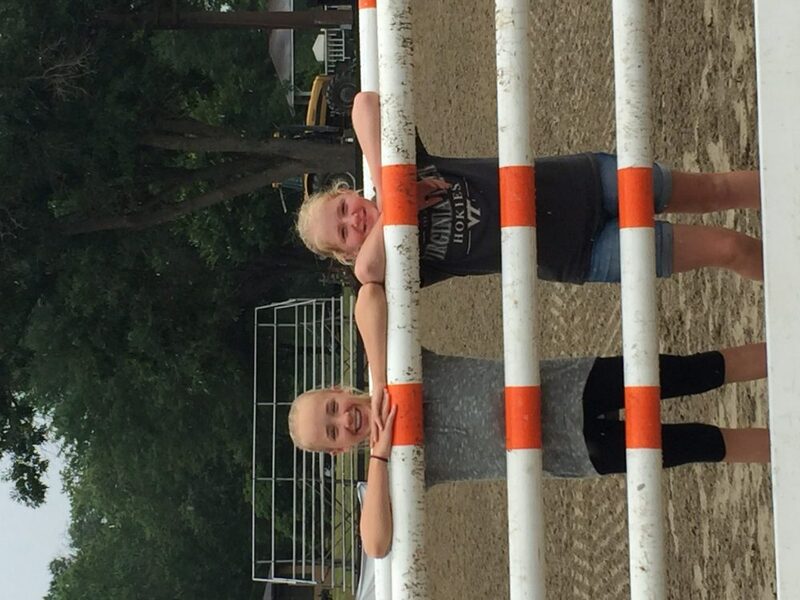 *BOOT CAMPERS(week 1) – plan on working all week without irons on the flat and over fences – this camp is designed for the serious show jumping rider. Limit to 10 riders at Boot Camp. 8:30: Campers arrive – 1/2 of the group goes for riding, second group begins ground session/lecture tailored to their skill level. 12:00: Second group does craft – group 1 cleans up barn and feeds lunch. Riders with own horse are encouraged to bring them if possible. Stalls ar available for the week for $10.00 a day. Owners need to bring their own grain, feed buckets and water buckets.